In the last blog post, I introduced you to a friend from Sweden named Agaton who told me he had always found The Beatles’ music irritating. He asked me to come up with a playlist of Beatles tunes he would like – or at least that wouldn’t set his teeth on edge – in return for which he would wear a Beatles T-shirt. I came up with a few ideas, but thought the impressive brains of the Every Record Tells A Story readership might do a better job. So I asked you for some ideas. And sure enough the response was impressive. You tweeted, commented and Facebooked (if that’s a thing) your thoughts and built up what I think is a most impressive Beatles Playlist of songs. The first suggestion came from Pete, who was DJ-ing in the bar we were in. He suggested “Mother Nature’s Son” on the basis of its unfamiliarity. Simon Atkinson confessed he agreed with my Swedish friend, whom he amusingly called “Sven”. Richey Estcourt meanwhile suggested an un-Beatles like track – their early cover of “A Taste of Honey”. Mike Curtis Went for “While My Guitar…” “Dear Prudence”,, plus “Happiness is a Warm Gun” for the humour and “Revolution 9” for the sheer craziness, perhaps feeling the musique concrète of Revolution 9 might appeal to someone with eclectic taste. At worst, it’ll just get on Agaton’s nerves like it does with everyone else. Twitter had plenty to say. Not everyone felt the cause was just. @stritchmanzello amusingly felt it was wrong to “force moptoppery on others”, and @pafster and @fi_fry both showed solidarity with Agaton, one describing The Beatles as “overrated tat”. More positively, there were song suggestions. @Gary_B_Smith came up with the lovely “Here, There and Everywhere”. @BassTunedToRed thought about Agaton’s love of jazz and old blues and recommended “Lady Madonna” – based on a Fats Domino piano riff – and “Yer Blues”, a song The Beatles recorded in a cupboard in the console room in Abbey Road to get a “close” feel to the recording. @garyshifnal recommended “Back In The U.S.S.R.” because “if you’d only heard their big big hits you may not even realise it’s them at first”. Sound reasoning. We don’t know whether Agaton likes the Beach Boys either of course…fingers crossed. @Stue1967 had an idea – if Agaton doesn’t like Lennon/McCartney, why not go for George songs, including “Taxman” and “Something”? He also suggested the lovely McCartney tune “Blackbird”. @tropicalsocks went for “Don’t Let Me Down”. Finally @IAmMikeAlbert had several songs, all of which were good and went on the playlist. Finally there were readers from WordPress and the World Wide Web. “Bugger, just spent ten minutes looking through the greatest band’s song list and my head almost exploded… look play him Rocky Raccoon and if he so much as sneers, give him a good slapping”. After being described as a simpleton by Danny Baker this fresh comparison to Satan was deeply amusing. I gleefully messaged Agaton to give him the news. Amongst other suggestions were “the whole of Revolver” from Greg (“he obviously hasn’t heard it”), David Lawson suggested Long Long Long, Dear Prudence and Blackbird, whilst minibreakfast thought “Rain” would be ideal for an Oasis fan. Theo392 also thought George Harrison tunes would be good, adding “Old Brown Shoe” into the mix, and Dave thought “Within You Without You” would be perfect as it saw the band operating outside Western music for the first time, this appealing to Agaton’s world music tastes. Dave added “I Am The Walrus” (Oasis again) and “Come Together” for the lovely reason that “the verse sits on the D chord for most of its length, an intermittent drone”. Adding a touch of class and musical knowledge there, Dave. You clearly stumbled across this site in error, but we’re glad you did. Gary Wordsworth seconded “Dear Prudence” and added “Hey Bulldog” as a lesser heard Beatles song, going with Nick Hornby’s theory that it must be hard to recreate hearing The Beatles for the first time as they are so omnipresent, but the lesser known tracks might be the best way to get there. Chris Flinterman suggested the lovely “For No One”, Serpico009 suggested an early obscure cover of “You’ve Really Got A Hold On Me”, seconded by tangerine trees who thought the experimentalism of “Tomorrow Never Knows” and the non-Beatles sounding “You’ve Got To Hide Your Love Away” would also fit the bill. Ron Burnett suggested “Don’t Let Me Down” and finally Paul Buckner suggested a nice long list including songs from the Abbey Road medley, plenty from Revolver etc. In short, we have a great playlist. Before I wrote this post, I came up with 14 songs that I felt might appeal to a non-Beatles fan. 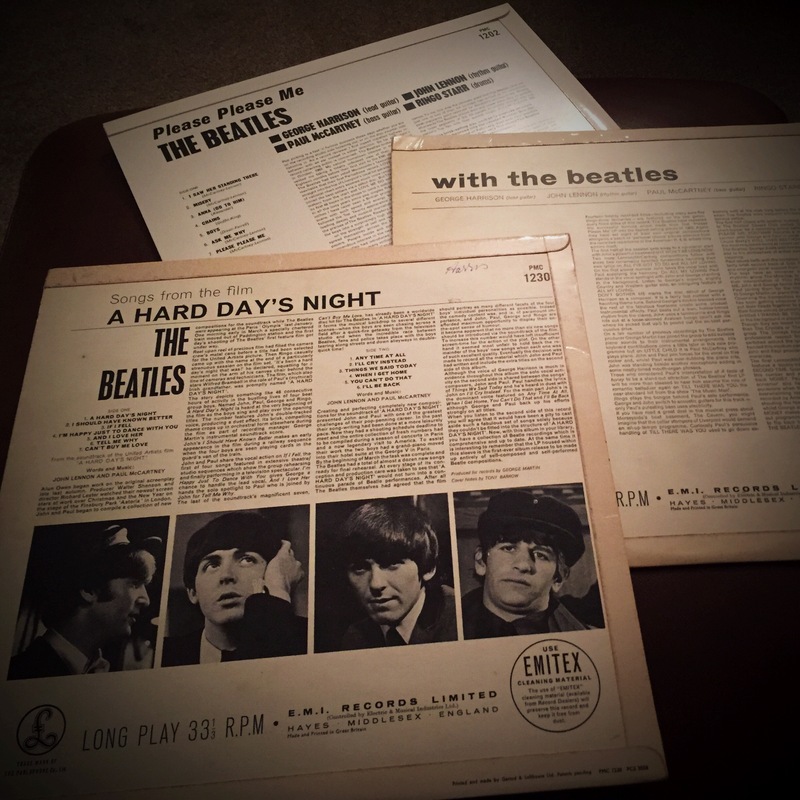 But the playlist put together by you has far greater depth, and it would surely take a heart of stone to not listen to it without falling deeply and madly in love with the Fab Four. We’re going to find out, because this will be the first time Agaton has seen the Playlist. The only thing we are missing to recreate that Beatles feeling is the one thing you don’t get on Spotify Playlists. And that vital ingredient is a bit of context. An explanation of the songs. Or to put it in plain English, Liner notes. 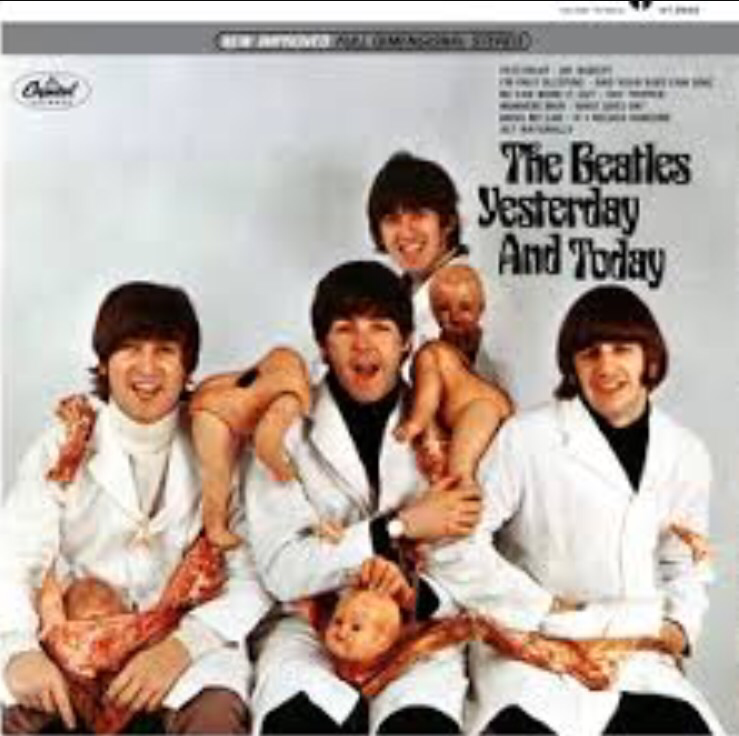 Old Beatles albums had them on the reverse of the cover…. At a time of voluminous reissues of back catalogue, there does seem to be a dearth of good writing about the music contained in the luxury packages. Sure, a box set might contain a glossy photo book, but whatever happened to the odd essay about the artist you are listening to? A potted history. Some interesting facts about the recording. I’ll let you know Agaton’s reaction in due course. Fingers crossed! As a followup, you could put out a call for most annoying/worst Beatles song. “Obladi Olbada” should win. Haha! Actually I quite like Obladi… Surely Maxwell’s Silver Hammer is worse? See? Could be a fun. Nah, Silver Hammer is great, and Obladi is pretty good. Can’t stand Long and Winding Road, and She’s Leaving Home sets my teeth on edge. Heh, there you go then. This is clearly a subject for further debate! Cheers for this; as someone who isn’t all that into those Beatle folks, this is a pretty stellar playlist. Hey Steve, have to agree about the liner notes. Although on some 60’s albums i’ve got, they were pretty ‘cheesy’. Don’t forget to show us your liner notes when you’re done. If this list does not help, play The Rutles for your Swedish friend and have a good laugh about it. Enjoy.. If he doesn’t immediately start enjoying them, at least he will learn to respect them with this playlist. Love it!